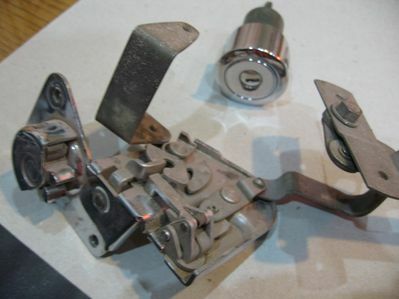 Can you imagine the the amount of work that went into these parts to produce the first set of locking exterior door locks for corvettes. When i saw these parts 35 years ago i was amazed then, as i am now. I knew that no private customizer would have spent the amount of money to build these intricate experimental parts.These parts were what led me to box up the car and put it into storage for thirty five years, until i could prove what corvette it really was.